Malnutrition is a common and under-recognized problem in cancer patients. It has been correlated to a large number of physical, psychological, and clinically relevant adverse effects in oncology patients, including impaired tolerance to anticancer therapy, adverse reactions, and reduced quality of life. Consequently, tailored strategies to identify patients at nutritional risk are essential to implement nutritional support effectively and to reduce cancer morbidity. A screening tool should be an easy, standardized, rapid, noninvasive, and cost-effective diagnostic tool to identify cancer patients at nutritional risk in daily clinical practice. If patients at risk for malnutrition are identified early, many cases may be treated or prevented, with beneficial effects on patient outcome and subsequent reductions of health care costs. This article discusses the Malnutrition Universal Screening Tool, the Nutritional Risk Screening, the Mini Nutritional Assessment—Short Form®, the scored Patient-Generated Subjective Global Assessment (PG-SGA), and the Malnutrition Screening Tool (MST) in an oncology setting. Clinical institutions should implement an appropriate and validated screening tool and assessment protocol, which should contain an action plan. 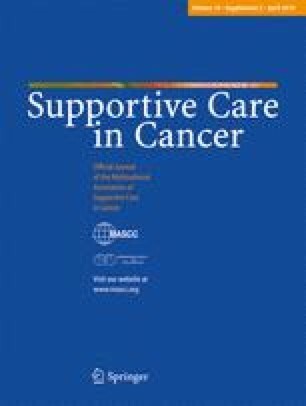 To date, the MST and the PG-SGA are the best validated screening tools for use in oncology patients. The PG-SGA is an assessment tool with screening components, whereas the MST is a pure screening tool and, therefore, quick and easy to use for trained as well as untrained staff. Further validation of all nutrition screening tools is needed, as well as further research to evaluate the benefits of nutrition screening and support with regard to outcomes.